Riches to Rags by Dori has evolved into a food blog over the last year because that is my passion. Now, I want to share with you another passion of mine which is Essential Oils. I have been using essential oils in my family for over a year and a half now and that is all that I use. They haven't had to go to the doctor for anything. The benefits of these oils are priceless when it comes to helping my family. I have one child with Aspergers, another with ADHD and one more who is an over achiever and has OCD. They are in 2nd, 3rd and 4th grade. I don't want to go into to an overwhelming amount of information in one post because there is so much to tell and teach you. I want to get this message out to the world. There is help out there that doesn't involve prescriptions. A healthy alternative that can help you with anything you can imagine, an alternative that will take care of you and your family. This is my other passion that I really want to share with you. One of the most important things that I own is a Diffuser. I have one of these Diffusers in each one of my kids rooms plus I have a bigger one in our main room. . I put Lavender in it every night to help the kids sleep. This post will tell you a few benefits of Lavender AND I am going to do a GIVEAWAY of one of these Diffusers and a 15ml bottle of Lavender. This is my favorite oil and the one that I use the most. Lavender continues to be valued for its unique fragrance and cherished therapeutic qualities such as calming and healing. 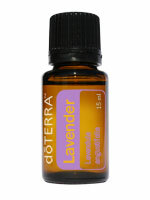 Lavender is one of the most basic essential oils and is generally considered the “go to oil” as it has so many uses. 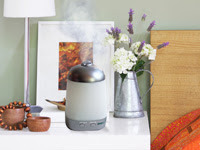 Lavender is the most popular “aroma” in health spas because of its powerful calming properties. The word lavender means to be clean. Lavender offers an extensive array of activity in the human body. There’s been substantial research done on Lavender, which proves its miraculous therapeutic powers. Studies conclude that Lavender essential oil offers qualities such as a sedative, analgesic (reduces pain), mood modulator, reduces anxiety, digestion, anti-carcinogenic, and also a combatant of fungi, bacteria, and also insects. Lavender is superb for healing and being a disinfectant for wounds. One of the incredible abilities of Lavender essential oils is to heal and soothe burns, bruises, and bites. It is also beneficial for allergic reactions in the body. For more information about this great Essential Oil and others you can message me on Facebook, go to my Essential Oils webpage or contact me on my email at richestoragsbydori@gmail.com. I would be happy to answer any questions you might have. 3. Click SHARE on the Diffuser Giveaway post on Riches to Rags by Dori Facebook. 4. Send me an email at richestoragsbydori@gmail.com letting me know what you did to enter and your mailing address in case you win! I finally decided to look at this since my FB friend, Trixie Ferguson seems to like you. I am interested in Diffusers. I love candles but they put off so much smoke. Also you caught my attention about making your children sleep. I have such a problem sleeping, would be very interested in anything that would help me sleep. So I am going to pursue your things more. I also shared your post. I love thrift stores, flea markets, garage sales and estate sales! This is awesome!! I have completed all 4 steps. Thanks for the giveaway!!! Hi Dori! Just wanted to add on to this, I diffuse lavender every evening for my dogs. I have 3, a big lab, a medium size lab mix, and a chihuahua. My boyfriend and I work long hours so they spend a lot of time alone. My big guy is also afraid of storms. A few weeks ago we had some thunder and lightening move thru and I had just gotten my new diffuser so I thought I'd give it a try. They slept ALL night...right thru the storms. NEVER has that happened! So every night we diffuse lavender (I forgot one night and they didn't sleep at all!). These oils are amazing! I could type all day about the little things I've done and learned but I'll save all that for another day! 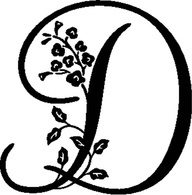 I liked you on facebook and shared your blog post from above on FB. These oils sound amazing! A friend gave me some oils from DoTerra last year and I used them when we had stomach bugs....amazing difference! Didn't know about the diffusers though. Cool! Thanks for the giveaway. I clicked the follow button on your blog...I liked your fb page and shared it...and sent you an email. Can you tell me where I can see that diffuser in the picture, to purchase? (in case I don't win, lol). Thanks. I completed all the steps, thanks for doing the giveaway, I hope I win!!! 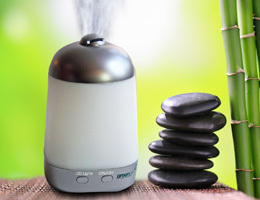 You can purchase these Diffusers at www.myoilbusiness.com - Go to Diffusers and pick the Spa Vapor. Use the code spavapor to get a discount of $20.00!! To order the oils go to http://www.mydoterra.com/doriodell/ You can also sign up to get them wholesale prices. If you are interested in doing that click Join on the top right of the page. I already follow your blog by email. I liked you on FB. I shared the giveaway on FB and will be sending the email. I just wanted to let you know that I love lavender! I cut my hand so badly that it should have had stitches when my hand slipped and my lock jaws drove into my hand. I was bleeding profusely and it was also dirty. I irrigated it with water. Then, I put Lavender EO on it. The bleeding stopped immediately and no pain! Wow! I was able to finish my repairs using that hand even! I came back in and irrigated it, thinking that it wasn't as bad as I originally thought--until the pain hit while irrigating! I put Lavender on it again and once again, the pain disappeared! I wrapped it and in the morning changed the bandage, applied more Lavender, then to let it heal from the inside out, I put coconut oil with Frankincense on it and wrapped it. It healed very quickly and without any pain and no scar or infection! Amazing! Everyone who saw it cannot believe it! I can't believe it either! Great stuff! Vicki, there is such a need for these Diffusers in our schools and classrooms. I use In Tune on all my kids before they go to school everyday. It helps them focus. I would talk your Principal and see if it is something they would allow. Every school is different. There is a hospital emergency room that is diffusing oils to keep the stress level down. On Guard is another wonderful oil that will kill any airborn pathogens with all those little coughs.